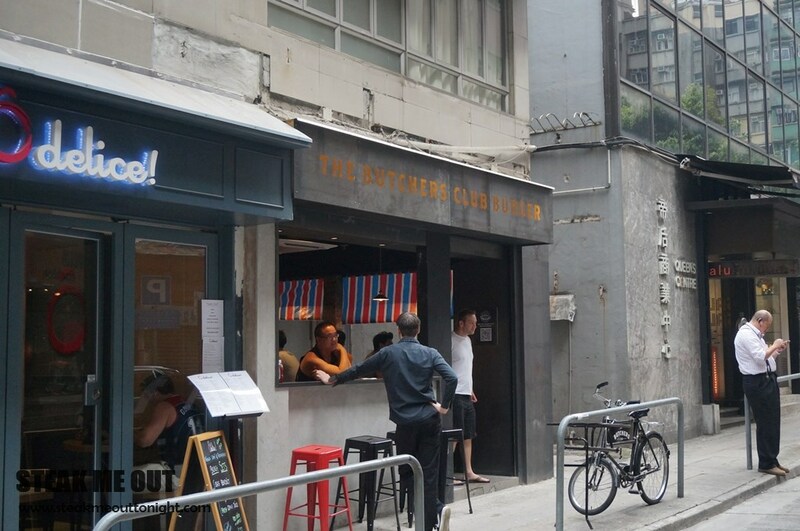 The Butchers club is a very cool venture between a couple of American guys in Hong Kong. Unfortunately it is very “club” like, with bookings, exclusivity, and you can’t go in on your own. 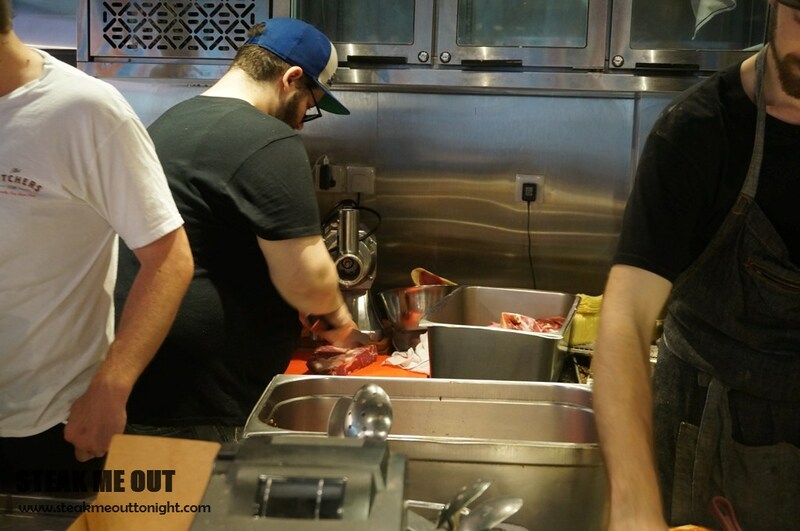 They are in the process of opening a Steak Frites, and have a burger joint which I was lucky enough to visit. The place is pretty small but bustling with people. They only offer one burger and duck fat chips, but have a secret QR code menu for those with smart phones wanting more than the normal burger. 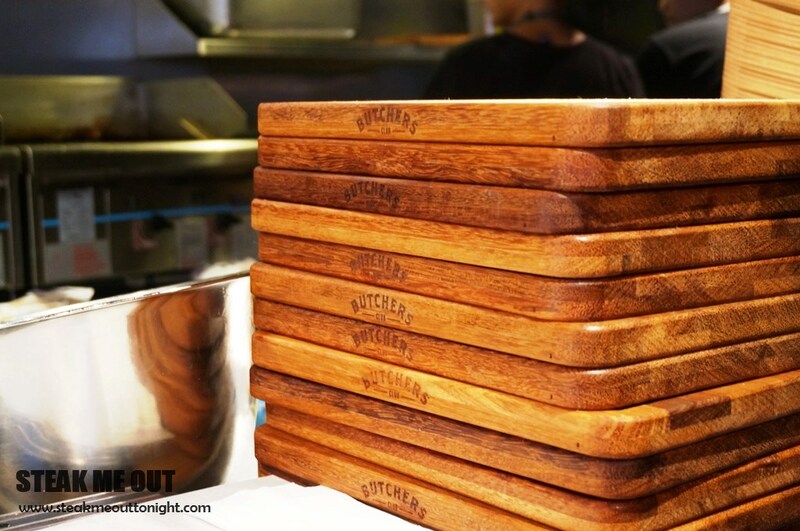 The patties are all house ground with a secret ratio of 3 cuts of dry aged beef. On paper, this place and it’s burger sounded like a dream come true. Unfortunately, like most dreams, the reality of it all isn’t quite what you’d hoped. 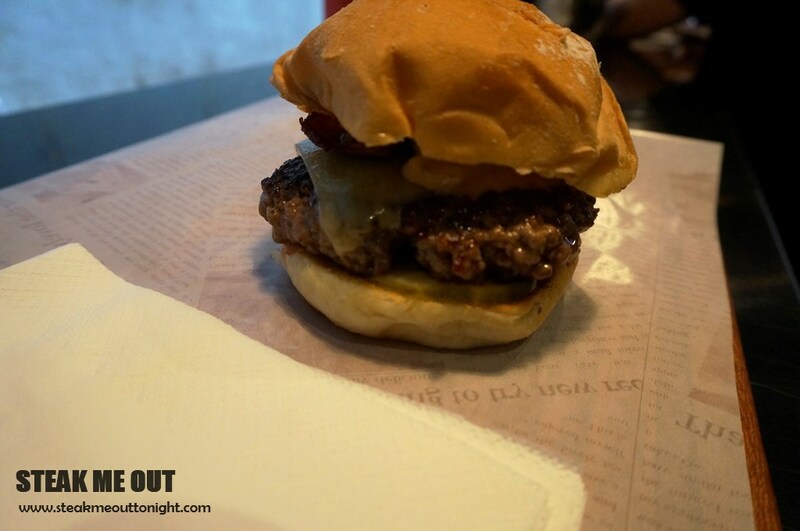 Firstly, the positives: the burger looked great, and the patty flavour and cooking was splendid. These good aspects of the burger were trumped by some negatives that really took enjoyment away from the experience. The burger was heavily fatty, and not in a flavour way, more in a everything tastes like grease, and this actually feels disgusting to eat. Along with that, the burger contained almost no seasoning which didn’t help it in any way. Not a fantastic burger by any means, but the place is nice and the staff friendly. I’d go back to give them a second chance, and I’d definitely go to try their steakhouse, but I do hope Hong Kong has better burgers. 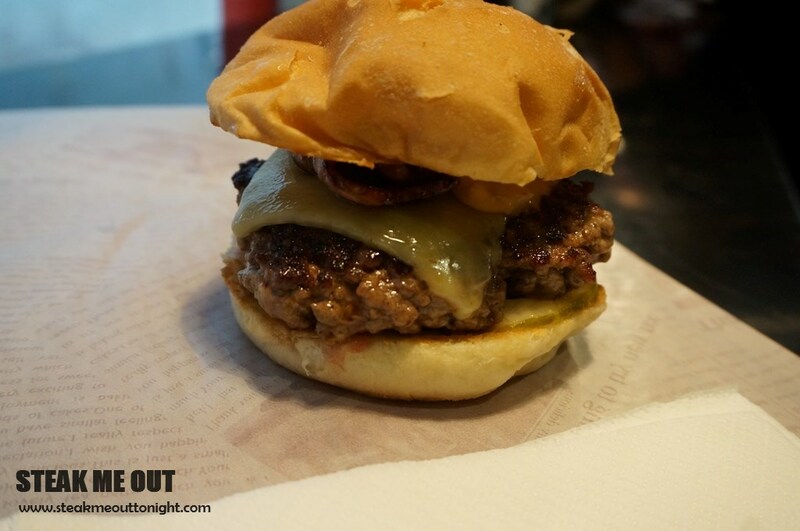 Posted on November 9, 2014 October 13, 2015 by AdrielPosted in Hong Kong, WesternizedTagged Burger, Hong Kong.